Nefesh B’Nefesh is well-known for its summer flights, but the organization brings olim all year long. The latest group arrived on Tuesday. Nefesh B’Nefesh is well-known for its summer flights which bring olim (new immigrants) to Israel, but the organization is more than just about summer operations. In fact, Nefesh B’Nefesh brings olim from all over the world all year long. Lizi Martin of Nefesh B’Nefesh told Arutz Sheva that groups of people who wish to make aliyah together come to Israel every few weeks. 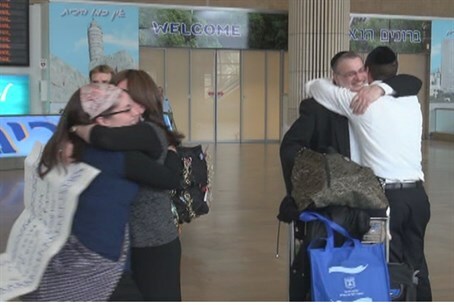 Nefesh B’Nefesh, she added, helps facilitate the aliyah process, meeting the olim at the airports in their countries of origin as well as when they land at Ben Gurion Airport.